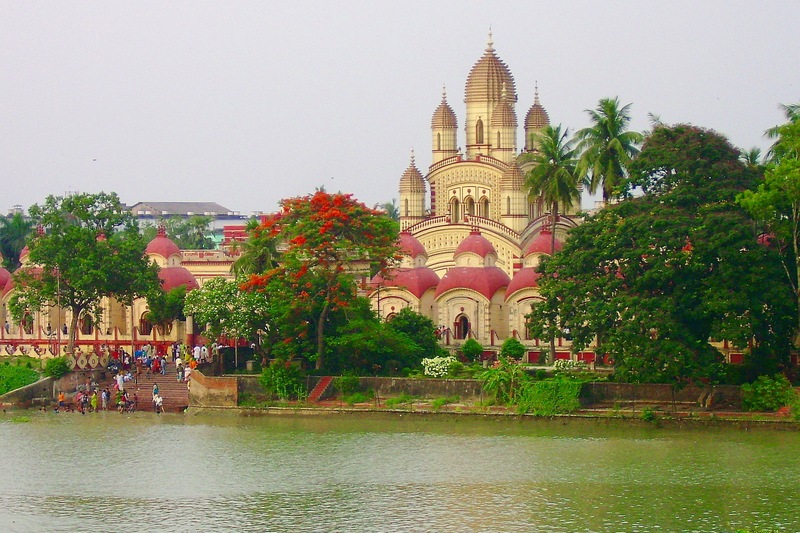 Kolkata (formerly Calcutta) is a distinctive city since it supplied the world with as much as three Indian Nobel Prize winners, and is regarded as India’s intellectual and cultural capital. But, at the same time, most people brush their teeth, do laundry and cook right in the streets, and many famous travellers who have visited the city, refer to it as the worst one they had ever seen. So, what is closer to the truth? 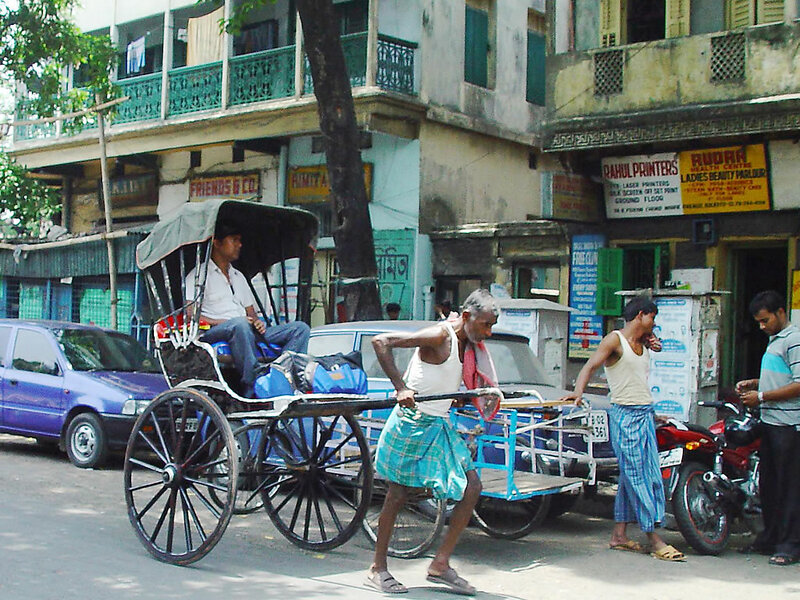 Kolkata is a city of contrasts, like the rest of India. Here poverty is certainly in your face, and the city wonderfully retains a feast of colonial-era architecture along with urban slums, garbage heaps rise up next to green parks, a "lower caste" still carries "high caste" in the ordinary rickshaw carts, where rickshaw-puller has to move the cart on Shanks's pony. Equally contrasting are sayings of famous visitors to the city: one was struck by the grandeur of its history, and someone – by its fatality. For instance, the writer of Indian origin Sir Vidiadhar Surajprasad Naipaul once said: "I know not of any other city whose plight is more hopeless". But as they say, it is better to see once than to hear a hundred times, and then come up with you own conclusions. And to make it easier, we'll tell you about key attractions in this city which is simultaneously noble and squalid, cultured and desperate. Most memorable and exciting event takes place in Kolkata in October, but can fall into other autumn months, according to the traditional calendar. This event is Durga Puja festival, during which thousands of temporary structures called pandals pop up like mushrooms after a spring rain, inside they organize celebrations and offer sacrifices to the goddess Durga. Every owner of a temporary house may partake in the competition for the most beautiful pandal. At this time the city is bustling with unforgettable festive atmosphere: everything around is decorated with lights, traffic stops, and Kolkata plunges into its own world of carnival and music. No wonder this festival is often referred to as eastern reply to famous carnival in Rio de Janeiro. If you are a fanatical books admirer, in Kolkata there is a piece of paradise for you. This is College Street: a half-mile teemed with bookstalls and bookshop, spilling over onto the pavement, selling new and used books. There are books for every taste: rare editions, modern world's bestsellers, ancient manuscripts... In addition, here is the Coffee House, a place where you can meet interesting people, discuss recently read books or just chat on abstract themes over a cup of coffee. Where else but in India, you will be able to see with your own eyes how the locals make morning procedures? Open-air makeshift bathes are very popular in Kolkata. Strolling in the morning through the poor quarters of the city, you will come across daily festival of human existence where people with towels, toothbrushes or without these, pouring themselves with water from a hose or water pumps. Moreover, many local residents not only wash themselves in the open air, but also do their laundry and cook. It is difficult to say that they do it due to good life, but this activity has long been a tradition and one of the special features of Kolkata. It is hard to imagine that a city located in a country with so ancient and rich history, does not have a museum. Naturally, Kolkata has one which is the Indian Museum. The locals call it the House of Wonders, because here you can see a lot of unusual things, such as the skeleton of a dinosaur or an urn where once the Buddha's ashes were kept... Special delight of the visitors is paid to an ancient collection of Indian textiles with colourful hand-painted fabrics. 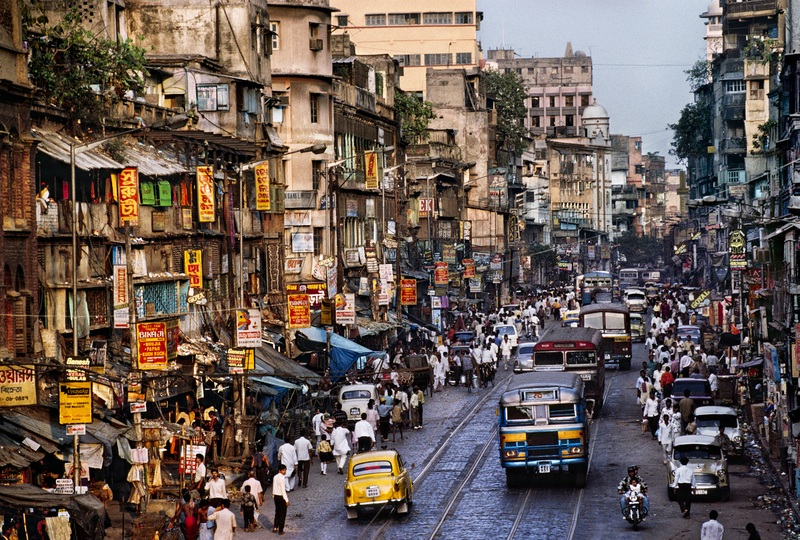 Like most Indian cities, Kolkata is replete with a variety of atmospheric markets. It should be understood that any Asian bazaar is not just a market in the usual sense of the word, a retailer stalls selling food and stuff, but almost sacred place keeping unique adventurous spirit of the people. If you are not a faint hearted person, then you can safely try local street food. Of course, the process of cooking of traditional street treats does not provide for the highest degree of sanitation, but for centuries the Indians have been cooking and eating in the streets under the same conditions, and consider it their hallmark. The most popular dish is Kolkata is egg roll - dough, fried in egg with vegetables inside, and kathi roll - pieces of grilled chicken and vegetables wrapped in a pancake and seasoned with spicy sauce with herbs. Not sure if it is a plus or a minus, but you can observe the process of preparation of your food, and then decide if you shall eat it. 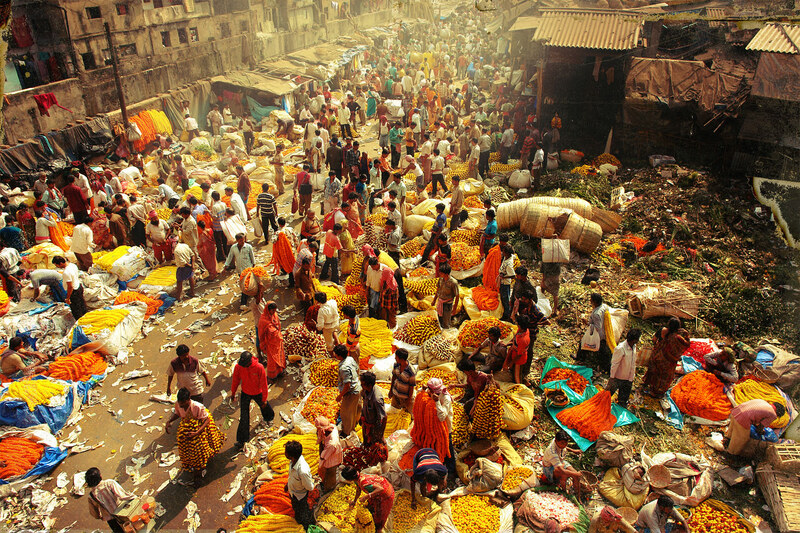 In addition, we recommend to each visitor to Kolkata to look at the Flower Market, located next to the Howrah Bridge. The name of the place conjures up images of fancy flowers, neatly tied with ribbons, vases in beautiful pots and similar delights so popular in European flower shops. But this is India, so even the flower market is full of noise, dirt, chaos and knocking down variety of flavours and colours. Market vendors can be said to hit upon a gold mine, because their products are always in great demand. This is explained by the fact that the Indians regularly use flowers in a variety of religious ceremonies. 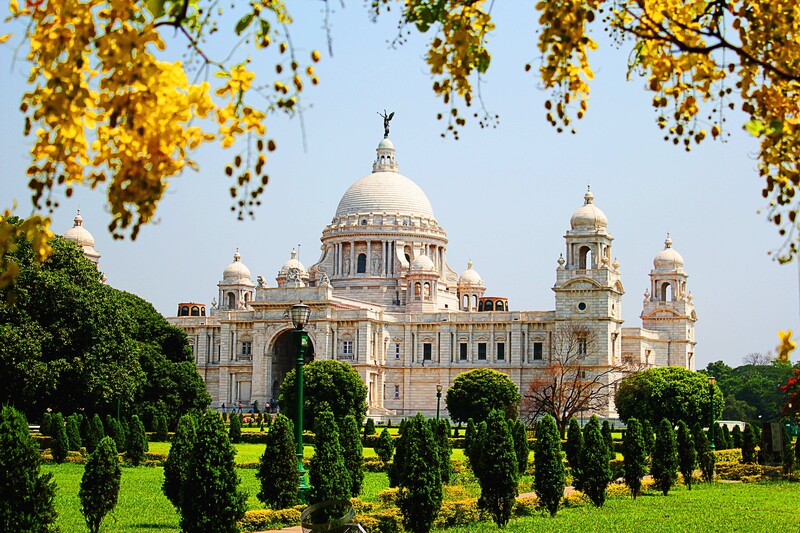 The main attraction of Kolkata, visited by most tourists in the first place, is the Queen Victoria Memorial, built about a century ago. The luxury building is a vast, beautifully proportioned festival of white marble which impresses with its grandeur and contrasting starkly with the surrounding poverty. Its special architectural style has similarities with the world famous Taj Mahal. 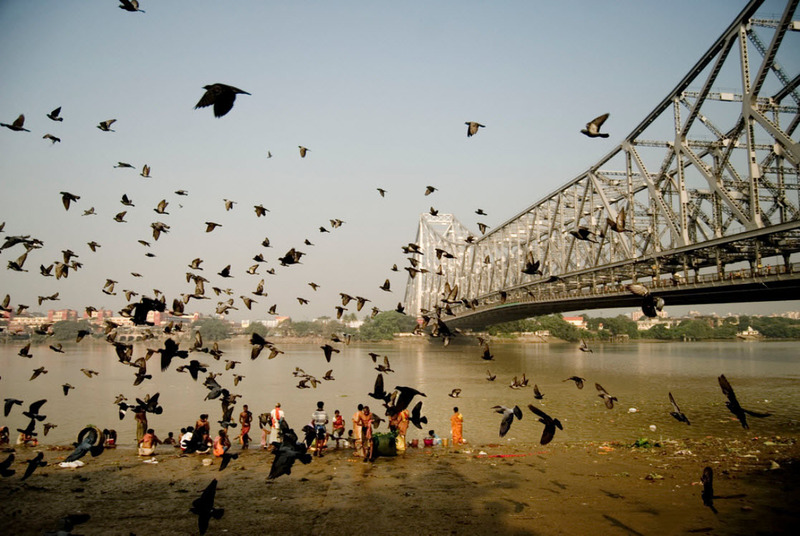 Kolkata has its own world record holder: the busiest bridge in the world under the name of Howrah. It connects the city of the same name and Kolkata, surviving every day highest load. Locals move through it here and there, and tourists have chosen this place and have a tradition to come here. According to various estimates, every day about 2 million people and 80 thousand cars pass through it. Depression and lack of new ideas? Head to Goa! It was the rest in Goa that helped business lady Kira Kondratenko build up energy and ideas for the implementation of an interesting project once. Today she shares with us her impressions of the island while calling it nothing short of Heaven on Earth. Despite ongoing development of air transport, many people across the Earth still love to travel by train for various reasons. Though the majority of passengers associate trains with a rather slow way to travel compared with airplanes, and are concerned with low comfort which can be still at the level of last century, reading through our selection below, you will definitely consider once again which means of transport you prefer to get to your destination. In the world there is an unusual place where the biggest number of twins are born. Although at first glance it looks like a mystical coincidence, statistics makes you believe in miracles. The Indian state of Kerala can boast of a village where unusual things happen. Kodhini is the place with more twins than anywhere else in the world. Actually, there is almost no explanation for this. On May 29 at the Media Center of “GDIP” SE, the presentation of the book written by Manoj Kumar Bharti, Ambassador Extraordinary and Plenipotentiary of the Republic of India to Ukraine entitled "Understanding Indian Philosophy through Modern Science" took place. Serpent Charmers: How to make a snake dance? Magic dance of a snake in time with flute’s melody often described in Eastern fairy tales and depicted in movies is no fiction but a true symbol of those countries. In Egypt, India, African countries and some other states slithering tribe are tamed to make a spectacular entertainment out of it. Profession of reptile charmers exists there; it is believed to be as nearly as the most amazing on Earth. What does this mysterious trade represent, its experts teetering on the brink between life and death? Someone compares Jaipur with lace tablecloth; others with a box of pink marshmallows; and some admirers claim this is a hive densely inhabited by bees. However, everyone agrees on one thing: there is the wonderful air full of freedom which cannot be found in Europe. It fills the lungs and breathing it a traveller loses count of hours and even centuries. The Ambassador Extraordinary and Plenipotentiary of India to Ukraine Manoj Kumar Bharti organized an official diplomatic reception in honor of the main holiday of country, Independence Day. The spouse of Ambassador Extraordinary and Plenipotentiary of India to Ukraine Anamica Bharti organized a meeting of the club of ambassadors wives Ambassadors Spouses Club in the course of which it was a display of traditional Indian clothes and friendly dinner. The Ambassador Extraordinary and Plenipotentiary of India to Ukraine Manoj Kumar Bharti arranged an official reception in honor of National Day. The heads of diplomatic missions of Bulgaria, Georgia, Romania, Moldova, Palestine, Syria, Tajikistan, Uzbekistan, Kazakhstan, Macedonia, Great Britain, Canada, Morocco, Kuwait, Belarus, Sudan, Republic of South Africa, Argentina, Japan, and Turkmenistan as well as representatives of community and mass media came to express their honor and congratulate the colleague with the national holiday. The ancient Indian belief has it that a wife is never known till her husband has poverty. Who knows if hunger can be considered as demonstration of poverty, but once a year Indian men watch a manifestation of loyalty and commitment of women in this way. On the 9-th of June, in a concert hall Ukrainian House in Kyiv it was an event ‘Curtain Raiser’ on the occasion of International Yoga Day. The organizer of the stated event became an Embassy of India to Ukraine and personally Ambassador Extraordinary and Plenipotentiary Manoj Bharti. Jaipur is always invaded by hordes of tourists. The city is included into the most of India travel guides. There are enough hotels, many street diners and comfortable cafes, no problem with the choice of transport. The local people are friendly and helpful to visitors. If this impulse is encouraged with a few rupees, the Indians will be happy to share information where in Jaipur they serve delicious and cheap coffee, how to get around a pack of pesky monkeys, or to find a hotel with hot water. On April 14, 2016 at the Diplomatic academy of Ukraine under the Ministry of Foreign Affairs International Round Table “India – Ukraine: World Practice of constitutionalism” dedicated to 125th anniversary of the main author of India’s constitution Dr. Ambedkar was held. With the support from the Embassy of India in Ukraine show of folk costumes of this amazing country took place at Kyiv Institute for International Relations. Colorful event was attended by representatives of foreign diplomatic corps, students of IIR and those who care about Indian culture.